The capital city of Chernigov oblast. Chernihiv (Chernigov in Russian) is a city and administrative center of the Chernihiv region of Ukraine, standing on the Desna River, northeast of Kyiv. It is the most northern regional center of Ukraine. Chernihiv was one of the largest towns of Kievan Rus. 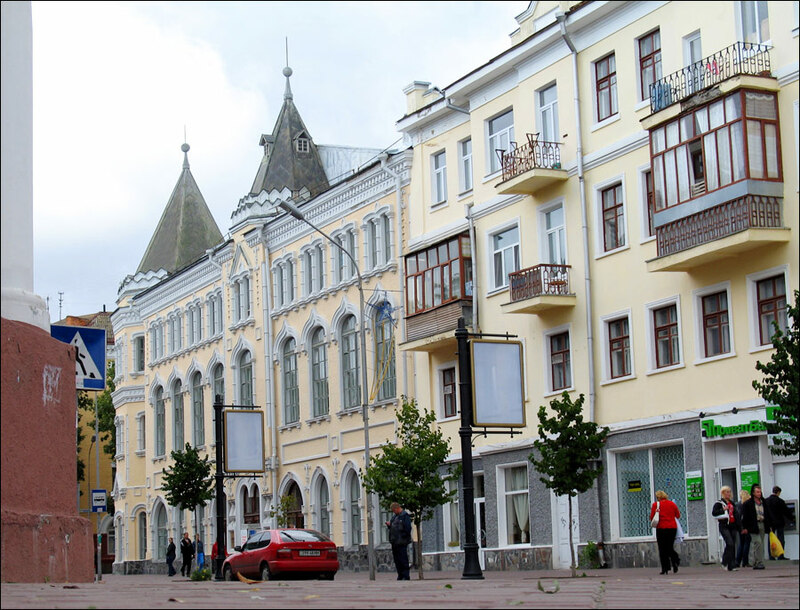 The population of Chernihiv is about 289,000 (2016), the area - 79 sq. km. The phone code - +380 462(2), the postal code - 14000. Local time in Chernihiv city is April 21, 5:45 pm (+2 UTC). 26 August, 2018 / Beautiful Old Churches of Chernihiv. 27 July, 2018 / Church of the Three Saints in Lemeshi. 18 March, 2018 / Fairytale Guest House in Bilorichytsya. 29 March, 2016 / One sunny summer morning in Chernihiv. 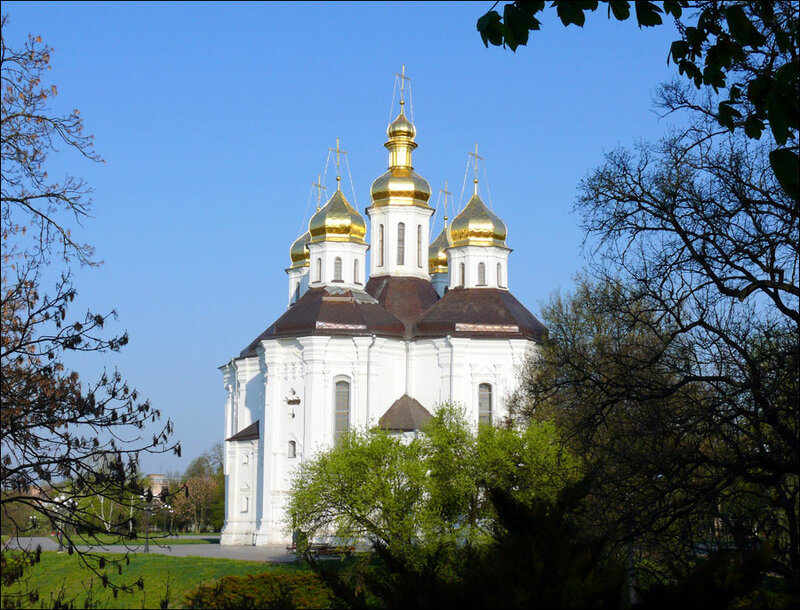 17 September, 2015 / The churches of Kozelets - Ukrainian cultural heritage. The first people settled in the territory of present Chernihiv about 6 thousand years ago. In the 1st millennium AD, on the steep banks of the Desna and Strizhnya there were several settlements of the eastern Slavic tribe of the Northerners. In the 9th century, the town became the main center of the Northerners. The rapid growth of the settlement was due to an advantageous geographical position in the basin of the Desna River and its tributaries. At the end of the 9th century, it joined Kievan Rus. For the first time Chernihiv was mentioned in the Tale of Bygone Years in 907, when the Kiev prince Oleg, after a successful campaign against Byzantium, obliged the Greeks to pay tribute to the largest towns of Kievan Rus. Chernihiv was mentioned second after Kiev. In the second half of the 11th century, the growth of the town continued. In the 12th-13th centuries, during the fragmentation of Rus, the ancient Chernihiv, being the center of a separate Chernihiv princedom, reached its peak. The total area of the town was 450 hectares, the population - about 40,000 people, which made it one of the largest towns in Europe at that time. The development of Chernihiv was interrupted by the Mongol invasion. In October 1239, the troops led by the Chingizid Mongke captured the town, plundered and burned it. 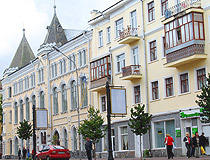 The town lost its importance and became part of the Bryansk principality, which was captured by the Lithuanian prince Olgerd in 1356. 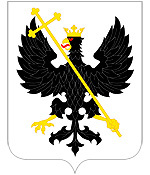 After the Russian-Lithuanian war (1500-1503), Chernihiv became part of the Russian state. 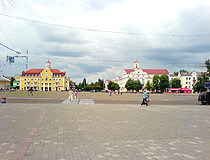 Since Lithuania was not going to put up with the loss of this region, Chernihiv was constantly becoming the object of Lithuanian military campaigns that occurred during numerous Russian-Lithuanian wars. In the first third of the 16th century, the town fortress had 27 guns, its garrison numbered about 1,000 people. In 1618, according to the Deulin Treaty, Chernihiv became part of the Polish-Lithuanian Commonwealth. The Orthodox population living in Rzeczpospolita was often subjected to national and religious oppression by the Poles, who were mostly Catholics. In 1648, a major uprising broke out under the leadership of Bohdan Khmelnitsky and the Chernihiv Regiment was established. The Chernihiv Cossacks took part in the Battle of Poltava on the side of the troops of Peter the Great. After the victory, Peter I on the way to St. Petersburg visited the Chernihiv fortress. On his instructions, additional cannons were installed. You can see them in the city today. 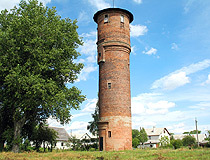 In 1781, the town became the center of the Chernihiv governorship. At that time, there were about 700 residential houses, 4 brick factories, 4 monasteries, 12 churches, 2 almshouses, other public and commercial buildings in Chernihiv. After the abolition of serfdom (1861), there was a gradual increase in the population: in 1897, the population was 27,716 people, in 1913 - 35,850 people. After the February Revolution of 1917, detachments of the Free Cossacks were created in Chernihiv, and power was transferred to the Ukrainian Central Rada. February 1, 1918, Soviet power was proclaimed in the town. March 12, 1918, the Austro-German troops captured Chernihiv and the town returned under the authority of the government of the Ukrainian People’s Republic. January 12, 1919, the town was taken by the Bolsheviks. In the summer of 1919, the White Army led by Denikin entered the territory of Ukraine. August 30, 1919, they captured Kyiv. September 10, 1919, the Red Army launched a counteroffensive from Chernihiv to Kyiv. With additional reinforcements the White Army launched an offensive and, on October 12, 1919, the town was captured. November 7, 1919, Chernihiv was again occupied by the Red Army and Soviet power was established in the town. 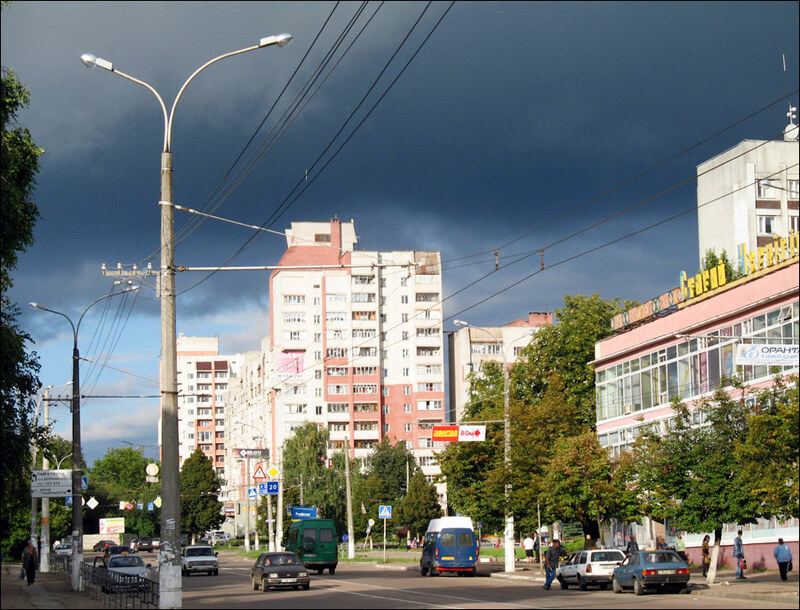 Chernihiv was turned into an industrial center. According to the 1926 census, the population was 35,200 people: Ukrainians - 57%, Russians - 20%, Jews - 10%. The growth of the town’s industry was accompanied by an intensive population growth. In 1934, the population reached 69,000 people. Chernihiv became one of the largest railway junctions in northern Ukraine. In 1932, the Chernihiv region was formed. September 9, 1941, the German troops captured Chernihiv and a two-year occupation began, accompanied by mass executions and sending of civilians as forced labor to Germany. September 21, 1943, Chernihiv was liberated. The war turned the town into complete ruins, about 70% of residential buildings were destroyed. In 1950, a railway bridge was built across the Desna River. In 1951, a railway station was opened. The center of Chernihiv was completely rebuilt in 1950-1955. The industry of the city reached the pre-war level in the early 1950s. By 1960, about 300,000 square meters of housing was built. In 1959, a new building of the theater named after Taras Shevchenko was opened. It was an important event in the cultural life of the city. In December 1959, the Chernihiv plant of synthetic fiber began its work. The industrial growth of the city led to the fact that the population increased to 240,000 by 1979. In 1986, there was an accident at the Chernobyl nuclear power plant. A lot of residents of Chernihiv took part in the liquidation of the consequences of the accident. In 1996, in commemoration of the decade of this nationwide tragedy, a bronze monument was erected on the Alley of Heroes. The easiest way to get to the city is a train ride from Kyiv, which takes about 3 hours. 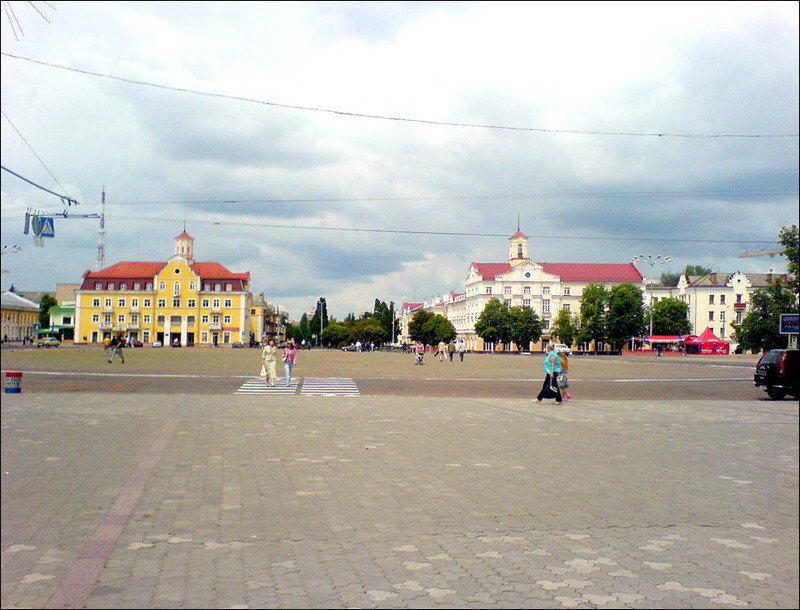 Chernihiv is located on the same latitude with such cities as London (England) and Saratov (Russia). The climate is Atlantic-continental with short moderately mild winters and cool long summers. The average temperature in July is plus 18.7 degrees Celsius, in January - minus 7.1 degrees Celsius. Chernihiv is an important railway and highway junction of Ukraine. The leading industries of the local economy are chemical, light, food, building materials, woodworking. Tourism is proclaimed one of the priority directions of socio-economic development of the city. By the number of outstanding architectural and historical monuments Chernihiv occupies one of the first places among the cities of Ukraine. In Chernihiv you can find about 30% of all the monuments of the pre-Mongol period preserved in Ukraine. 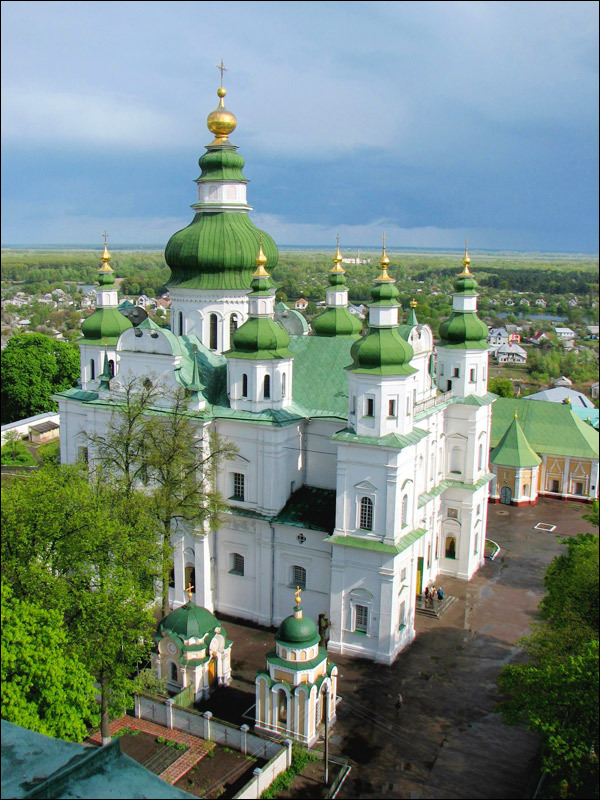 Chernihiv with its architectural and archaeological monuments is listed as a UNESCO World Heritage Site. The motto of Chernihiv is the slogan “Chernihiv is a city of legends”, which is displayed on the tourist logo of the city developed in 2010. 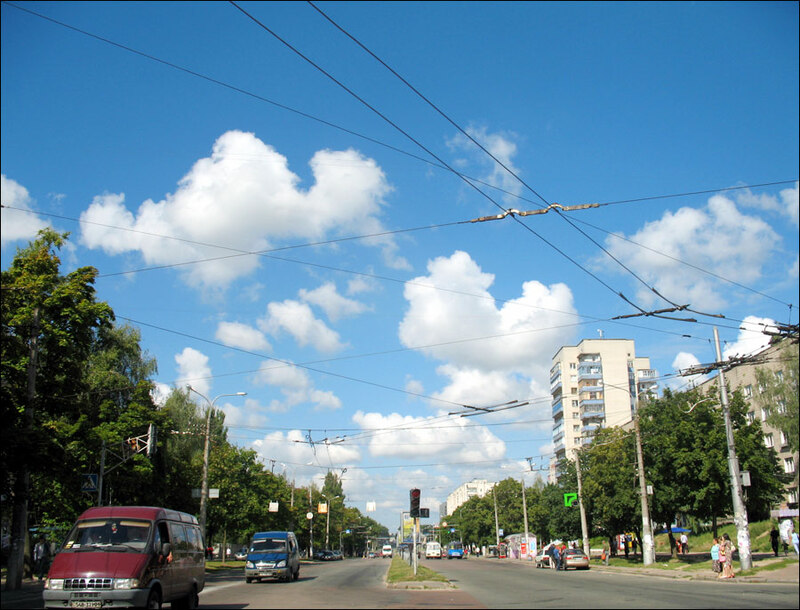 The City Day of Chernihiv is celebrated on September 21. Trinity Cathedral. The ensemble of the Trinity Cathedral with the bell tower, the Vvedenskaya church and the refectory was built at the expense of the hetman of Ukraine I. Mazepa in 1679-1695. It is a great example of architecture in the style of Ukrainian baroque. The bell tower (58 meters) is open to visitors. From its top you can enjoy the best panorama of Chernihiv. Tolstoho Street, 92. Opening hours: 10:00-17:00. St. Anthony of Kyiv Caves. 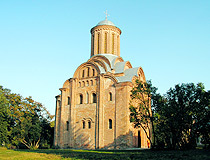 The most ancient shrine of Chernihiv, it is part of the Troitsko-Ilyinsky monastery on Boldiny Mountains. The first cave church and monastery were founded by the monk Anthony Pechersky in 1069, when he left the Kyiv-Pechersk Lavra also founded by him. Through the Ilyinsky church (the 12th century), you can get to the cave part (315 meters) with three underground churches. On the hill above the monastery there are Slavic mounds, as well as the grave of M. Kotsyubinsky. In the caves, archaeological excavations continue, guided tours are available. Illinska Street, 33. Opening hours: 10:00-18:00. Transfiguration Cathedral. One of the oldest Christian churches on the territory of Ukraine built in 1034, a unique example of Old Russian architecture. 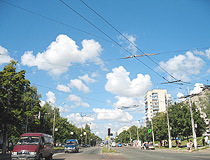 Preobrazhenskaya Street, 1 (Chernihiv Dytynets Park). Yeletskyi Dormition Monastery. 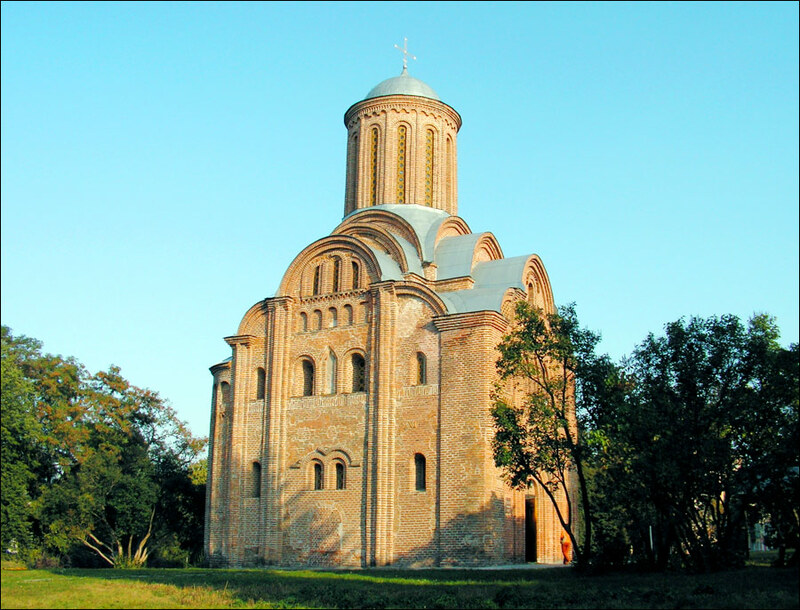 The monastery was founded by the Chernihiv prince Svyatoslav Yaroslavovich (1027-1076) as a country residence. It was rebuilt after the Mongol invasion in 1445-1495. Caves of the Old Russian period are preserved. After the reconstruction of the 17th century, the architectural ensemble of the monastery received features of Ukrainian baroque. Kniazia Chornoho Street, 1. St. Catherine’s Church. This church, built in the style of the Ukrainian Baroque in 1715, welcomes all those who come to Chernihiv from Kyiv by road. Located on the hill opposite to Dytynets, on the Alley of Heroes, it is considered one of the symbols of Chernihiv. Myru Avenue, 6-a. St. Paraskevi’s Church. This church is a classic monument of ancient Russian architecture built in the main market of Chernihiv at the turn of the 12th-13th centuries. During the Second World War, the church was destroyed. In 1962, it was completely restored in the original Old Russian style. Het’mana Polubotka Street, 10/2. St. Mykhail and Fedor Church. The church was on the bank of the Strizhen River in 1801-1806. In the world there are only three churches named after these holy martyrs - the Chernihiv prince Mykhail Vsevolodovich and his boyar Fedor who refused to bow to Mongolian idols during the invasion of Batu and were brutally executed by the Mongols. Het’mana Polubotka Street, 40. Chernihiv Regional Historical Museum named after V.V. 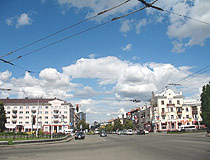 Tarnovskyi. In the museum collection there are more than 130,000 exhibits related to different periods of Chernihiv history from ancient times to the present. The exposition has a rich collection of archaeological finds, early printed books, rare documents, objects of the Cossack era. Muzeina Street, 4. Opening hours: 9:00-17:00. Day off: Thursday. Chernihiv Museum of Military History. The expositions of the museum are dedicated to the participation of the local residents in the Second World War, in partisan detachments; the fate of prisoners of concentration camps; the defense of the Chernihiv region in 1941 and its liberation in the autumn of 1943; the liquidation of the Chernobyl accident and its consequences. In the courtyard there is a small exhibition of military equipment. Shevchenka Street, 55?. Opening hours: 9:00-17:00. Days off: Monday, Tuesday. Chernihiv Regional Art Museum named after G. Galagan. The collection of the museum has about 8,000 works of fine and decorative-applied art from the 16th century to the present. Muzeina Street, 4. Opening hours: 9:00-17:00. Literary-Memorial Museum of Mikhailo Kotsyubynsky. The museum is located in the house where the writer lived from 1898 to 1913. If you are interested in Ukrainian literature then be sure to visit this museum. Kotsyubynskoho Street, 3. Opening hours: 9:00-17:30 (Saturday, Sunday - 10:00-17:30). Museum of Architecture (Borys and Gleb Cathedral). The cathedral was built in the 12th century on the foundation of an older stone structure of the 11th century. In the middle of the 20th century, it was restored in the Old Russian style. Preobrazhenska Street, 1. Opening hours: 10:00-18:00. Chernihiv Collegium. This building with a high bell tower was built using elements of ancient Russian architecture in the early 18th century. It is one of the most beautiful buildings in the city. Today, the administration of the National Architectural and Historical Reserve “Ancient Chernihiv” is housed here. Preobrazhenska Street, 1. Chernihiv Regional Philharmonic Society. This building is an example of the architecture of the Neo-Russian style that was popular at the turn of the 19th and 20th centuries. Myru Avenue, 15. Opening hours: 12:00-19:00 (Tuesday-Saturday), 14:00-19:00 (Sunday). Day off: Monday. Land Bank. The former Noble and Peasant Land Bank is a two-story brick building in the Art Nouveau style constructed in 1910-1913. Today, it houses the Scientific Library named after V. Korolenko. Myru Avenue, 41. Glebov’s Estate. The estate of the leader of the Chernihiv nobility Grigory Glebov appeared on the outskirts of Chernihiv at the end of the 19th century. The palace was built in the style of neo-Gothic with a somewhat awkward watchtower. Shevchenka Street, 97. Tarnovsky’s House. This building in pseudo-Gothic style was constructed in the end of the 19th century. In 1900-1901, it was rebuilt and expanded for display of the historical exposition of the well-known philanthropist V. Tarnovsky, who bequeathed his unique collection of paintings and manuscripts to Chernihiv. Today, it houses the children’s library of the Chernihiv region. Shevchenka Street, 63. Dytynets Park. It is the oldest part of Chernihiv, a hill on the high bank of the Desna River, where the prince’s dytynets (fortress) was located. Here you can see two churches of the 11th-12th centuries and a number of other preserved architectural monuments. Also there are 12 cast-iron bastion cannons of the 17th century, which are considered one of the symbols of Chernihiv. Preobrazhenska Street, 1. Boldiny Mountains. The historical area known as Boldiny Mountains is a chain of 20-35 meters hills located about 1.5 km from Dytynets Park. It is one of the largest ancient Russian burial mounds dating back to the 9th-10th centuries. Tolstoho Street. Miskyi Sad Park. The central park of culture and rest in Chernihiv houses the Summer Theater, rides, a circus, fountains. Cultural events and festivals are held here. Shevchenka Street, 59. Light and Music Fountain. Opened in 2008 in Popudrenka Public Garden, this fountain is operated by a special software controlling the water jets, music and lights. Mahistrats’ka Street, 7/15. According to visitors’ reviews, the following hotels in Chernihiv offer the best level of service. Hotel “Reikartz Chernihiv” - a new hotel with a bar located in the center of Chernihiv. Free Wi-Fi, air conditioning, the staff speaks English, pets are allowed, no parking. Hetmana Polubotka Street, 22. Phone: +380 462 616 116. Park Hotel “Chernihiv”. Opened in 2011, it is a modern 3-star business-class hotel located in a picturesque park area on the bank of the Desna River. There are 50 comfortable rooms of different categories equipped with air conditioning, electronic locks, cable TV, mini-bars, in-room safes. There are non-smoking rooms. Free Wi-Fi and parking, a pool, pets are not allowed, the staff speaks English, transfer. The restaurant “Parmesan” offers dishes of Ukrainian and European cuisine. Shevchenka Street, 103A. Phone: +380 462 64 64 67. Hotel “Ukraine”. This hotel is located in the very center of Chernihiv, about 200 meters from the central square. It also offers tours of the city and the region. There are 90 rooms of different categories with air conditioning, free Wi-Fi. Parking, ATM, massage, pets are allowed, the staff speaks English. There is one room for people with disabilities, a restaurant (Ukrainian cuisine), a sushi studio, a souvenir shop. Myru Avenue, 33. Phone: +380 462 65 14 00. Hotel “Pridesnyansky”. The hotel is located on the bank of the Desna River in a park zone in a relatively remote area of Chernihiv, 10 minutes drive from the center. Wi-Fi, most rooms have air conditioning. There is a cafe with 60 seats, 2 banquet halls. Shevchenka Street, 99A. Phone: +380 462 95 49 05. Recreation Complex “Zolotyi Bereh” (“Golden Coast”). This tourist complex is located in the green belt of Chernihiv, on the bank of the Desna River, near one of the most popular places of the city - “Golden” beach. There are 3 comfortable guest houses and a VIP-house. The restaurant “Golden Coast” offers dishes of European and Ukrainian cuisine. Berehova Street, 30. Phone: +380 462 61 30 04. Recreation Complex “Rancho Club”. This country complex is located on the opposite bank of the Desna River, a 15-minute walk from Dytynets Park (across the pedestrian bridge). Closed area, private beach, sauna, Wi-Fi. 8 double rooms, as well as 3 double cabins. Fishing, boating, horseback riding, biking, paintball. 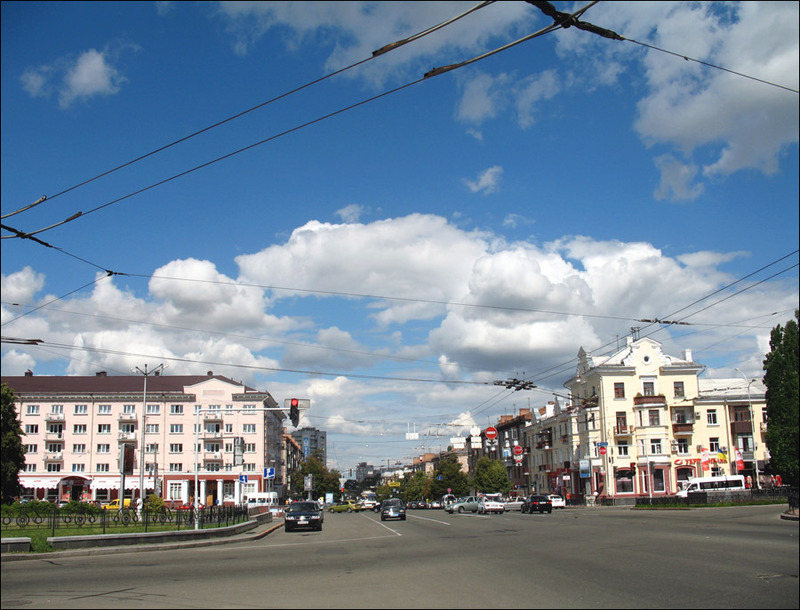 Pervaya Naberezhna Street, 33. Phone: +380 462 61 15 44.